Did you know that there are over 450 volunteer-operated fire departments in our province? 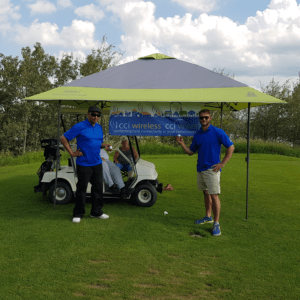 Last weekend CCI had the privilege to support just ONE of these teams of selfless volunteers, at the annual Hardisty Volunteer Fire-Rescue Golf Tournament. 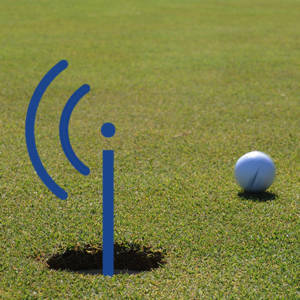 CCI sponsored the hole-in-one – we wish that one of the golfers had made the shot and taken home the $10,000 prize! Looks like we’ll just have to do it again next year. We owe a big shout-out to Captain Tim Abel for asking CCI to take part in supporting the community. Celebrating these firefighters fits perfectly with our values and mission – to provide essential service to under-served communities. Tim works hard to make sure the volunteers are recognized and have a fun event with their neighbours each year. We look forward to next year’s tournament and to being in the community again soon. If you are interested in service in the Hardisty area, call us at 1-888-240-2224 to find out if we can provide you internet. To inquire about support for your community or non-profit cause, shoot us an email us at customercare@cciwireless.ca.